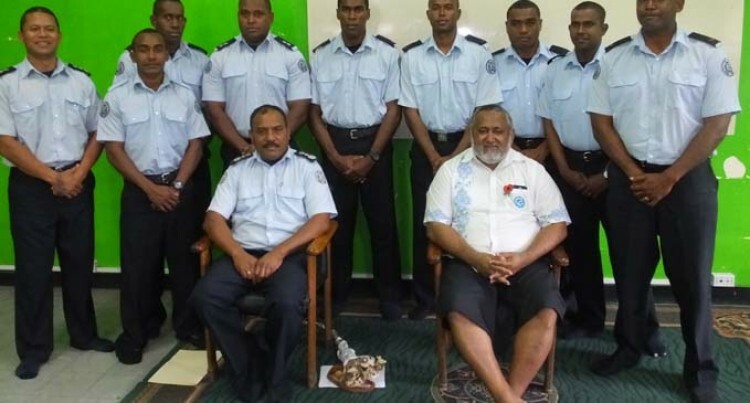 Francis Kean (seated right), with NFA chief fire officer Qionilau Moceitai and some fire officers. The National Fire Authority (NFA) team for the Australasian Firefighters Championship in Echuca, Australia, was farewelled at the NFA headquarters in Suva last Friday. NFA board chairman commander Francis Kean, in his message to the team, reminded them on the importance of unity and honesty which will be their key to success. “You are not only representing NFA but all Fijians at this Championship. Represent your country with honour and have a ‘can do’ attitude,” Commander Kean said. The Australasian Firefighting Championships is a biannual Championship. Teams from Australia and New Zealand compete to be the Australasian Champion. The seven-member NFA team will leave the country today and train in Echuca, Australia, for four days before competing in the championship from October 23 to 25. The team will be up against Australian and New Zealand firefighting teams.